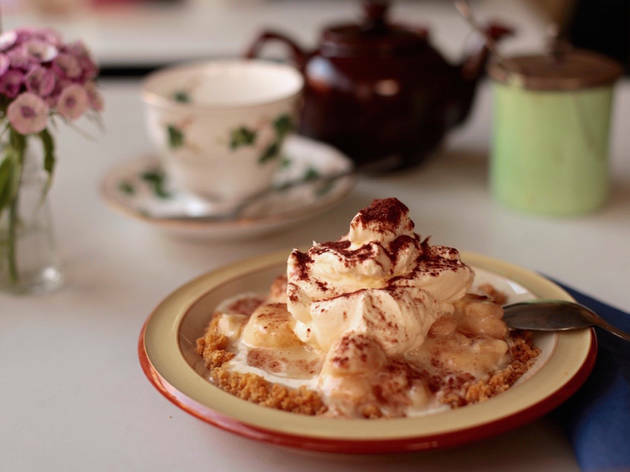 A chic, pretty little vegetarian café in south London that's situated in a charming old Victorian dairy. 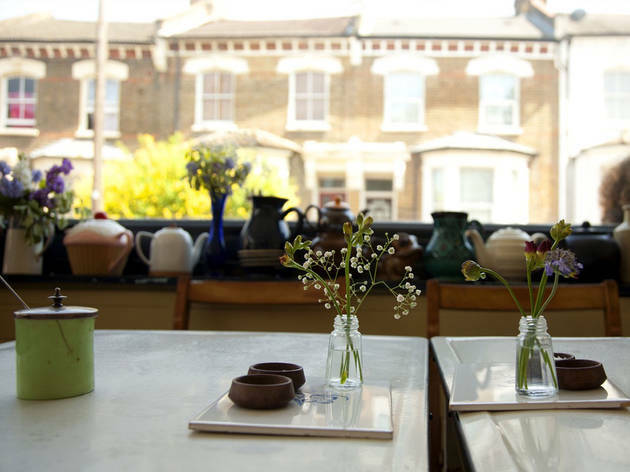 Occupying a light-filled corner spot (at one time a Victorian dairy) on East Dulwich’s chi-chi North Cross Road, this homely vegetarian bistro fits right in with its neighbours – many of whom sell the same sorts of vintage tea cups, rough-hewn tables, ironically chintzy ornaments and wild flowers that make up its bohemian look. This is vegetarian food that meat-eaters can definitely get on board with, free from fillers and the usual suspects. 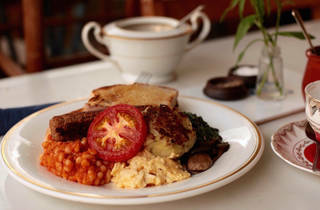 Regulars love the veggie breakfasts, complete with homemade baked beans and thick hash brown patties, while the chalkboard lunch menu offers fresh, seasonal salads that don’t skimp on the good bits, great-value stews and curries that are hearty without being too filling, and old-school puds topped with lashings of whipped cream. That service is friendly is a no-brainer here, as most of the customers are locals. The only problem is finding a free table. Two things to note: firstly, if you want booze, bring your own with a £2.50 corkage; secondly, this place is cash only. A place that doesn’t accept cards shouldn’t be in business in 2018, period. There is no excuse in this day and age to not have a card machine. Sadly, even though the menu looks tempting, I took it off my list for that reason. Great food, friendly staff, relaxed environment. 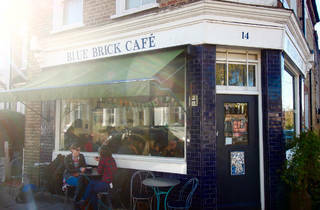 Blue Brick gets my vote for its home cooking, hospitality and friendly vibe. I'd go more often if I could. Amazing vegetarian and vegan options! Lovely staff at this cute little cafe! This cafe is just perfect. The friendliest staff and the most incredible vegetarian and vegan food I have tasted in the capital. 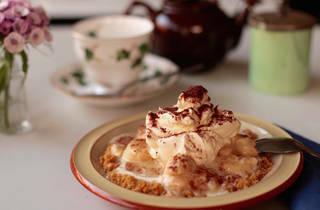 Loved by the locals but also ventured to by the further afield. 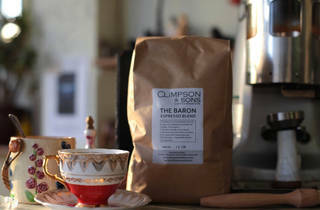 Without a shadow of doubt the best coffee I've ever had the pleasure to drink! Everything is delicious and freshly made, they make proper tea, and every meal I have there makes me wonder why I haven't gone vegetarian yet... special mention for the chickpea stew which I have for lunch almost every week as a treat. Also the homemade backed beans are fab. Service is always great. So lucky to have them round my corner. Homemade, delicious, fresh food with friendly staff. Favourite cafe for a lazy brunch. Probably the best breakfast in ED. And that spaghetti thing they do is lovely. And cakes. Good. Gorgeous veggie food and friendly staff. 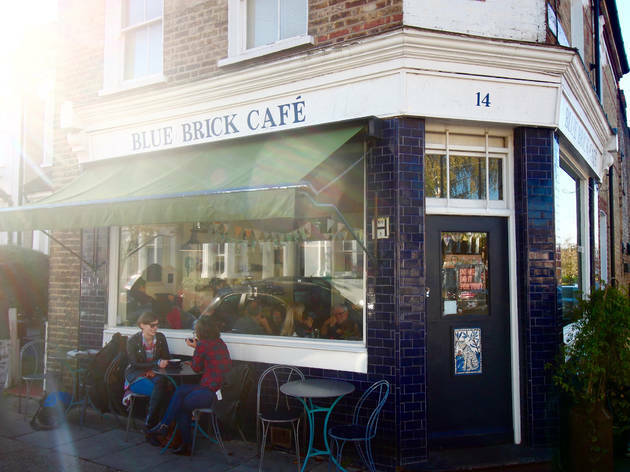 Lovely staff, delicious food and best coffee in Dulwich! 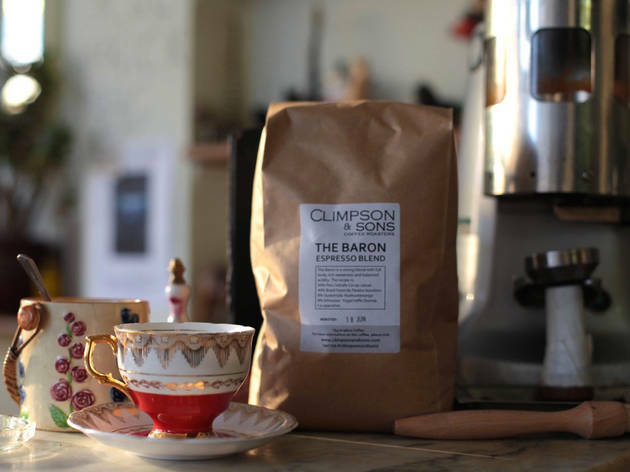 Always serves up a great breakfast with quality coffee to boot! Went to this place for the first time recently and loved it. Cosy little space, lovely staff and well-planned, creative vegetarian food that's not at all pompous. The breakfasts are particularly good - hearty but healthy(ish), and make sure you order the excellent homemade baked beans, even if you're not a fan of the canned goods. The specials sounded equally enticing, and a freshly baked lime and lavender cake was just as delicious as hoped. 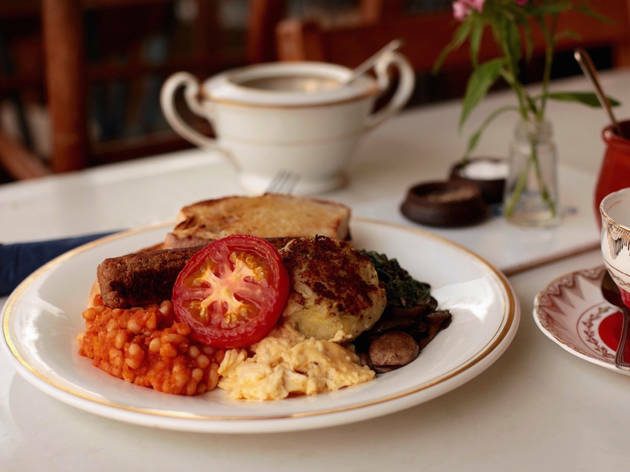 A beautiful, verging on twee, veggie and vegan cafe hidden down a side street off Lordship Lane, specialising in banging breakfasts - the homemade veggie sausages and homemade baked beans are highlights of the menu. They also do loads of fresh juices and tasty teas, as well as hot spiced apple and elderflower - basically mulled cider but without the booze. At least one cake is always vegan and the non-vegan cakes and deserts looked pretty dreamy too. 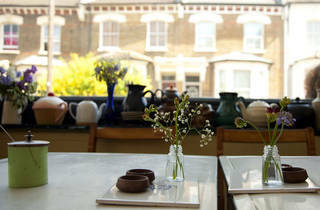 With super friendly and lovely staff on top this is the perfect spot to enjoy in ever idyllic East Dulwich. Delicious, imaginative vegetarian food at really reasonable prices. And the coffee is excellent, too. 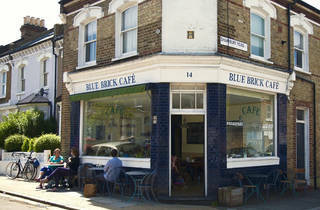 By far the best cafe in East Dulwich. 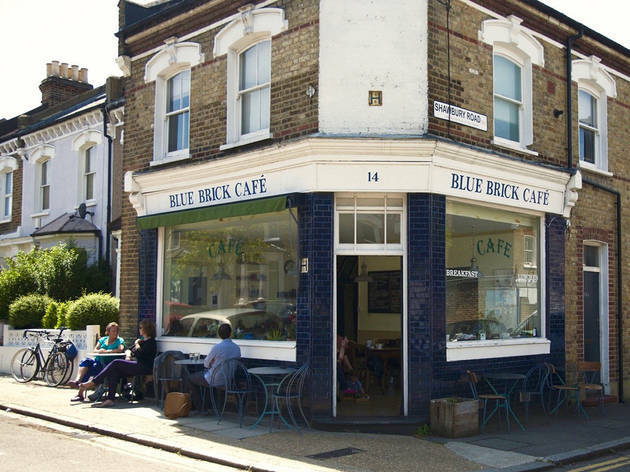 I have lived in Dulwich for 10 years now so i can easily sat this is the best cafe to be found ! Extremely friendly staff, the most incredible homemade food and great value for money. Its a vegetarian/vegan cafe that can also cater easily to gluten free people like me, its my go to breakfast destination!